Time to time, we experience pain. Any part of our bodies are prone to any kind of pain; throbbing, sharp, constant, or inconsistent. A particular part of the body where pain is most commonly present is the head. This kind of pain is famously dubbed as a “headache.” We can all agree that headaches are very unwelcomed, let alone pain. But, headaches are almost inevitable. Headaches can be caused by stress, drinking, lack of certain nutrients, etc. Luckily, there are a handful of methods for curing headaches. One of the most quickest ways of getting rid of a headache is taking a painkiller. These are to be taken in accordance to what the label says. Overdosing can give rise to further health concerns. Try to take the painkiller as soon as you contract a headache. Another quick way of treating a headache is a cold compress against the forehead. Grab a wash cloth and drench it in cold water. Place against the forehead and have it remain there for 20-30 mins. 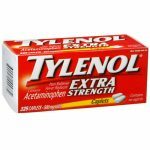 Repeat periodically if the headache persists. Try to avoid having to rely on it. Laying down and closing your eyes for a half hour may help relieve your headache alternatively. Be sure that the lights are off wherever you’re about to rest. A quiet environment is also an important factor when it comes to getting rid of a headache. It’s best if you couple rest with a cold compress for a maximum effect. Not only is meditation beneficial for maintaining personal well-being, but can also help with either distracting you from pain or embracing it. Practice meditating. Try to pair it with periodic heavy breathing. Massaging the bridge of your nose or the side of your eyes for about a couple of minutes. This will provide temporary relief. 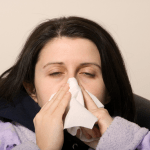 The common cold only seems common to those who aren’t suffering from one. It’s actually called common because it refers to more than 200 varieties of viruses that cause the symptoms that we call a cold. This large number of different types of viruses is the reason it’s been so hard to find effective treatments and preventative measures for the illness. Some of the solutions work well on one virus but do nothing against another variety. 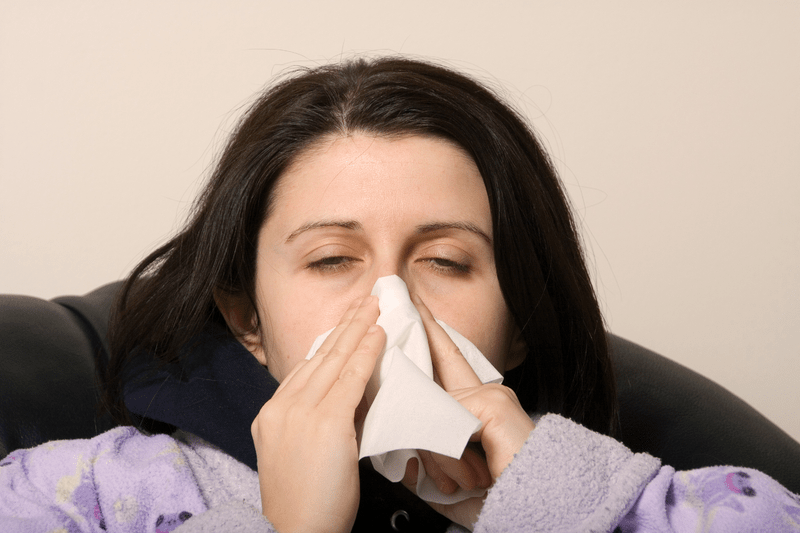 In people with healthy immune systems, the cold usually runs it cycle in around five days. Healthy immune systems react and send antibodies that attack the cold virus. The illness is transmitted directly from one person to the next. Usually this is through contact with and infected person’s body fluids. The fluids may be transmitted through the air or lie in wait on surfaces. This is why frequent hand washing is an effective way to help prevent contracting a cold. If you have several of the following symptoms, there’s a good chance you have contracted a cold. Usually you can treat a cold at home, but if your symptoms are extreme, especially the fever, or if they last longer than 5 or 6 days, you should consult a doctor for a diagnosis. Even mild colds that don’t improve can progress into pneumonia. Although there is no cure for the common cold, there are several things you can do to treat it and make the symptoms less troublesome. The first step is to get plenty of rest, which is also facilitated by these treatments. People try a variety of things to help them feel better quicker when they have a cold. Some work and some do not, but over the years a number of effective treatments have been found. If you are in doubt or have compromised immunity, you should speak to your doctor before using any treatment. Petroleum jelly, especially when infused with aromas such as menthol, is an effective way to relieve congestion. Vics Vapor Rub is a popular type that has been around for years. Over the counter pain killers are very effective in reducing the aches and pains associated with the common cold as well as reducing fever. Children should not be given aspirin when they have a cold due to the possibility of developing Rye Syndrome. A severe could can be one of the most frustrating symptoms of a cold. Cough medicines can reduce the frequency of coughing allowing you to sleep, which will help your body fight the infection. Some cough medicines also contain medicines that loosen mucus and allow your body to fight congestion. 1. Fluids – drink plenty of water to keep yourself hydrated. Both fevers and coughs can cause dehydration. 2. Rest – The best way to fight a cold is to get lots of sleep so your immune system stays strong. 3. Diet – Nutritious food will also keep you strong and replenish the nutrients your immune system uses to fight the infection. Using salt water to gargle treats a couple common cold symptoms. It eases the discomfort of sore throats and it also can help reduce nasal congestions. If your throat isn’t irritated and you can handle it, eating something spicy can temporarily clear up a stuffy head. A couple varieties of food have been credited with helping you through a cold. The first is spicy foods which are said to help with congestion and stuffy noses. The second is the old favorite, chicken soup. Though there is no scientific data that shows chicken soup to help in any way, almost anyone who has ever had a cold and eaten some chicken soup will agree that chicken soup does make you feel better. The virus family that causes a cold is very susceptible to heat. Breathing steam can perhaps raise the temperature of the respiratory system enough to kill the virus. If nothing else, breathing steam can open up clogged nasal passages. When doing this, make sure you drink plenty of water and you are careful to prevent burns. 1. Garlic – Garlic is a natural antibiotic and may have properties against viruses also. 2. Vitamin C- This has been common knowledge for years. Science is mixed on its effectiveness but it will never hurt. 4. Echinacea – This is a fairly new arrival to the cold remedy family and is often packaged with vitamin C.
6. Chamomile – This is a soothing herb that may make it easier to rest while sick. 7. Colloidal Silver – This product is lauded as a cure and prevention for several ailments. 8. Caffeine – Probably just effective in giving you more energy and making you feel better.